1. I am a Special Agent of the Federal Bureau of Investigation (FBI) assigned to the Washington Field Office and have been so employed since 1998. Before being hired by the FBI, I was employed as an assistant vice president with a major financial institution for seven years. 2. 1 am currently assigned to the Government Fraud/Public Corruption squad of the FBI's Washington Field Office. I have conducted complex government fraud investigations since 1998 and have received advanced training in white collar crime investigations, including specialized classes in money laundering, Department of Housing and Urban Development fraud programs and investigation of public corruption. I have been the affiant in support of several search warrants and have participated in the execution of many search warrants since 1998. 3. In September 2002, the United States Attorney's Office for the District of Columbia received from the Washington Teachers' Union Local 6 ("WTU" or "the union"), whose parent body is the American Federation of Teachers, AFL-CIO ("AFT"), and from the AFT itself, a referral of allegations of serious criminal activity, including but not limited to allegations of embezzlement of WTU funds through the improper personal use of various WTU deposit and credit accounts, on the part of officers, employees, and certain vendors of the WTU. Since September 2002, the FBI has conducted a j joint investigation of these and other allegations with investigators from the Department of Labor, Office of Labor Management Standards ("DOL-OLMS"), which has oversight responsibility for certain labor organizations, including WTU. Subsequent to the initiation of the investigation, Special Agents of the Internal Revenue Service, Criminal Investigations Division ("IRS-CID"), and the District of Columbia Office of Inspector General ("DC OIG") have helped to conduct the investigation. .
4. The statements set forth in this Affidavit result from my own review, as well as the review of other agents of the FBI, DOL-OLMS, IRS-CID, and DC OIG of thousands of pages of documents obtained from WTU, WTU accountants and purported auditors, and vendors whose goods and services were purchased through the use of WTU depository and credit accounts, financial institutions holding WTU and various other persons' depository accounts, and various other sources; review of WTU official financial statements (including Forms LM-2, which labor organizations such as WTU are required to file annually with DOL, and IRS Forms 990, which WTU was required to file with the IRS); interviews of various persons; and representations of WTU and AFT counsel, who have informed investigators that they are conducting an internal investigation and audit of the matters described herein. 5. The government's ongoing investigation has developed probable cause to believe that several persons engaged in a conspiracy to and did commit serious felony offenses against the United States, in violation of Title 18, United States Code, Section 371, including but not limited to using the mails and wires to defraud and deprive another of money, property, and its intangible right to honest services, in violation of Title 18, United States Code, Sections 1341, 1343, and 1346; false statements, in violation of Title 18, United States Code, Section 1001; money laundering, in violation of Title 18, United States Code, Sections 1956 and 1957; embezzlement from a labor union, in violation of Title 29, United States Code, Section 501(c); and tax evasion, in violation of Title 26, United States Code, Section 7201, as well as probable cause to believe that the places described in the attachments to this Affidavit contain evidence and/or instrumentalities of these offenses, which may be seized pursuant to the warrant that this Affidavit supports. 6. Although a complete accounting of the losses to the union has not been finalized, investigation to date reveals that these persons converted well in excess of $2,000,000 in union funds to their personal use by, among other things, 1) charging personal expenses to union-paid credit cards without proper reimbursement of the union treasury or authorization of the union's executive board or membership; 2) writing union checks to themselves; and 3) writing and causing the writing of union checks to persons other than themselves who then cashed the checks and made the cash proceeds available to union officers. The investigation also indicates that the co-conspirators sought to conceal their misappropriation of WTU funds by failing to ensure that proper financial and accounting procedures were in place and, later, by enlisting the services of an accountant who had in some cases assisted them in the preparation of false and misleading personal tax returns and false and misleading financial reports for the Department of Labor and IRS. 7. In addition, the investigation has revealed that various individuals who participated in or aided and abetted the misappropriation of WTU funds failed to claim the full amount of their income from WTU, whether legitimate income or ill-gotten gains, on their personal tax returns filed with the IRS. c. 6900 Wisconsin Avenue, Chevy Chase, Maryland 20815 -- Business location of Miller Furs, where investigation has revealed that BULLOCK stored and stores fur coats believed to have been purchased with WTU funds. 307 Yoakum Parkway, Number 711 and Storage Unit Number 711, Alexandria, Virginia 22304 -- Residence of GWENDOLYN B. CLARK (CLARK), BULLOCK's sister, who held joint personal deposit and credit accounts (some of the bills for which were paid by WTU) with BULLOCK, and the location where at least some of the items known to have been purchased with BULLOCK's union credit card were delivered. 9. Attachments A-1 through A-7 describe the locations to be searched. 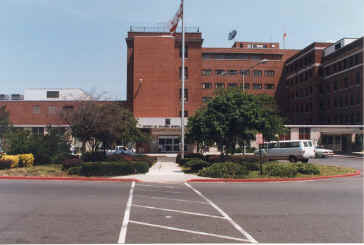 Attachments A-1 through A-3 describe locations within the District of Columbia. Attachments A-4 through A-6 describe locations within the District of Maryland. Attachment A-7 describes a location within the Eastern District of Virginia. All statements made in Attachments A-1 through A-7 are adopted into the body of this Affidavit as if fully set forth herein. 10. Attachment B describes the matters and things to be seized at all locations within the District of Columbia, the location within the Eastern District of Virginia, and the two residential locations within the District of Maryland: 1) 1307 Lark Lane, Fort Washington, Maryland 20744; and 2) 12000 Quartette Lane, Bowie, Maryland 20720. Attachment B does not cover items to be seized at the business location, Miller Furs, at 6900 Wisconsin Avenue, Chevy Chase, Maryland 20815. Attachment B describes by vendor, and with varying degrees of particularity, specific goods purchased unlawfully with embezzled union funds. In addition, Attachment B describes documents to be seized. All statements made in Attachment B are adopted into the body of this Affidavit as if fully set forth herein. 11. Attachment C describes the procedures for conducting the search and seizure of computer equipment at all locations with the exception of Miller Furs, at 6900 Wisconsin Avenue, Chevy Chase, Maryland 20815, where no such equipment is to be seized. 12. Attachment D describes the items to be seized at Miller Furs, at 6900 Wisconsin Avenue, Chevy Chase, Maryland 20815. 13. WTU made its regular payroll to salaried officers and employees through the automated system provided by the firm PAYCHEX. In addition, WTU maintained a checkbook from which checks could be, and were, written by hand. 14. WTU checks required the signatures of two of the persons occupying the offices of president, vice president, and treasurer. 15. WTU's officers owed a fiduciary duty to WTU and its members obligating them to hold the union's money and property solely for the benefit of its members and not to use union funds for purely personal purposes. 16. Among other financial controls, the Department of Labor required WTU annually to submit Forms LM-2, listing disbursements, including salary and payments for official business and personal expenses. Forms LM-2 are maintained by the Department of Labor for public inspection and are designed to ensure some accountability to the union membership for the officers' and employees' expenditures. A review of these Forms LM-2, signed by BULLOCK, as WTU president, and BAXTER, as treasurer, reveals that WTU's disclosures were incomplete, false, and misleading in that they grossly understated disbursements to some officers and employees, including BULLOCK, BAXTER, and HEMPHILL, and omitted disclosure of disbursements of over $1,000,000 to other employees, including employees paid their compensation in cash. 17. AFT's constitution required all of its affiliated unions to perform an audit or review of its finances every two years and to submit a written report of the audit or review, which would be available to the membership of WTU. During at least the period 1998 through 2002, WTU, through its elected president, BULLOCK, and elected treasurer, BAXTER, failed to produce such a report. 18. In the section of this Affidavit titled "Evidence of Fraud," I describe over $2 million in unauthorized, personal, and/or improper expenditures of union funds by union officers and others, over the period 1995 to the present. The vast majority of the purchases occurred between 1998 and the present. There is probable cause to believe that these purchases were unauthorized by WTU for one or more of the following reasons: 1) because many purchases were of an obviously personal nature; 2) because many of the goods purchased were delivered to BULLOCK's home or other proposed search locations, and not to the union's office space; 3) because these purchases constituted disbursements to BULLOCK, BAXTER, HEMPHILL, and others that should have been, but were not, disclosed as such on WTU's Forms LM-2; 4) because WTU's meeting minutes contain no discussion of the purchases indicating their disclosure to the union's membership; 5) because witnesses and other union representatives have advised investigators that the expenditures had no even arguable benefit to the union; and 6) because the absence of required financial reports to AFT suggests that the expenditures were being concealed (for, if they were not, the expenses should have been discussed openly). 19. There is probable cause to believe that many of the described purchases were of durable, investment or heirloom items (including furs, ball gowns, art, furniture, china, crystal, silver, jewelry, and electronic equipment) that can be reasonably expected to be maintained by the purchasers or recipients in their residences over a period of years. 20. BARBARA A. BULLOCK was the salaried president of WTU from approximately 1994 until September 2002, when she tendered her resignation. Forms LM-2 filed by the union, as well as IRS Forms W-2 Forms covering this period indicate that from 1994 through 2002, BULLOCK was paid a salary ranging from $86,232 to $106,840. A limited review of PAYCHEX records reveals that BULLOCK received regular salary payments from WTU's payroll account, which constituted these amounts. These amounts are set forth as disbursements to BULLOCK on WTU's Forms LM-2. 21. An analysis of WTU's credit and charge card records, WTU bank account records, and WTU meeting minutes reveals that from November 1995 through March 2002, BULLOCK made unauthorized personal charges for goods and services of over $1 million from 1995 through her resignation from the presidency of WTU in September 2002. 22. These expenditures included purchases of art, jewelry, haute couture (including custom-made dresses, shoes, and furs), food and wine, wigs, and antique furniture. Among these purchases were: a $20,000 mink coat, along with other mink coats that your affiant has learned are or have been stored at Miller Furs in Chevy Chase, Maryland; nearly $500,000 in custom-made clothing from a Baltimore clothing maker known as Van Style, which clothing is believed to be maintained at her District of Columbia residence; more than $9,000 at retailer Bloomingdales; more than $9,000 for clothing and accessories from a Florida vendor known as Body Scentre Limited; more than $11,000 in purchases from a retailer known as Friedman's Shoes in Atlanta, Georgia; more than $5,000 to Galt Brothers Jewelry in Washington, D.C.; more than $5,000 to Graffiti AudioVideo for electronic equipment; more than $12,000 at retailer Hecht Company; more than $3,000 at the Hermes Boutique in Vienna, Virginia; more than $5,000 for bedding and a desk pad from the Horchow Collection; more than $6,000 to vendor J. Crew; more than $15,000 to vendor Jacobson Stores, Inc., for St. John Knit apparel; more than $4,000 for merchandise from Little Switzerland JNU, in Juneau, Alaska; more than $60,000 to MS Rau Antiques in New Orleans, Louisiana (including $57,000 for a 288-piece Tiffany sterling silver set); more than $17,000 to Miller Furs; more than $150,000 at retailer Neiman-Marcus; more than $50,000 at retailer Nordstrom; more than $4,000 at beauty salon Oriental Oasis; more than $25,000 for services of the Parkway Custom Dry Cleaners in Chevy Chase, Maryland; more than $9,000 to Ramee Art Gallery in Washington, D.C.; more than $40,000 at retailer Saks Fifth Avenue; more than $50,000 at a vendor known as Snazzy Limited in Orange Park, Florida; more than $4,000 at the St. John Boutique in Beverly Hills, California and New York, New York; more than $2,500 for china or crystal from The Lenox Shop in Williamsburg, Virginia and Prince William, Virginia; more than $6,000 in gourmet kitchen equipment from retailer Williams-Sonoma; almost $4,000 to jeweler Tiffany & Co.; more than $20,000 to the Atlanta gallery of the artist William Tolliver; and more than $7,000 to Wagner Opticians. 23. I have personally visited the offices of WTU, located at 1717 K Street, Northwest, Suite 902, in Washington, D.C. With the exception of a few pieces of artwork and furnishings, few of the above-described purchases were observed within WTU's office space. It is also my observation that the space is functional office space, not unlike that of a federally-operated office. It is not lavish in decor; nor can it be described as comparable to that of a corporate executive. The furnishings do not appear expensive; nor does the office generally appear to be furnished with antiques. 24. GWENDOLYN B. CLARK, who resides in Alexandria, Virginia, is BULLOCK's sister. Your affiant has learned from Alexandria antiques dealer Tradition de France that a two-door, French, hand-painted armoire from the store was purchased by HEMPHILL with the WTU American Express card and delivered to CLARK's residence in March of 2000. In addition, CLARK has claimed to another person that she received a number of unnamed "gifts" from BULLOCK. 25. CLARK and BULLOCK share a bank account at SunTrust Bank. Witnesses have advised us that large sums ofmoney from WTU's checking account at Independence Federal Savings Bank were converted to cash by BULLOCK's driver, LEROY HOLMES, and deposited into this joint BULLOCK/CLARK SunTrust account. 26. CLARK also has a Diners Club account on which BULLOCK and CLARK's daughter, ERIKA CLARK, both are authorized users. Payments exceeding tens of thousands of dollars were drawn on the WTU checking account at Independence Federal Savings Bank to pay the CLARK/BULLOCK Diners Club balance. Among the vendors from whom goods and services were purchased with this Diners Club account are Van Style, Saks Fifth Avenue, Neiman-Marcus, Tiffany & Co., and Miller Furs. 27. In addition, I have learned that CLARK (who is a federal government employee), doing business as "Gwen's of Columbia," provided Christmas decorations for WTU office space and provided invoices to WTU. WTU paid CLARK thousands of dollars with checks signed by BULLOCK, some of which were then deposited into the joint CLARK/BULLOCK checking account. 28. 1 have learned that the Internal Revenue Service has no records of CLARK reporting income from either the business "Gwen's of Columbia" or the WTU. 29. JAMES O. BAXTER 11 was at all times during the WTU presidency of BULLOCK the elected treasurer of WTU. At various times, he was a salaried employee of WTU and a full-time, salaried official of the District of Columbia Government, serving as Interim Director, Office of Labor Relations and Collective Bargaining. BAXTER was employed with that office starting July 7, 1997, and continuing through June 15, 2002, at an ending salary of $96,273. Together with BULLOCK and WTU's vice president, ESTHER HANKERSON, BAXTER had j joint check-writing authority at WTU. Together with BULLOCK, BAXTER was personally responsible for signing and certifying the accuracy of information contained in WTU's Forms LM-2. 30. For Tax Year 2001, WTU submitted a Form W-2 to the IRS for income (wages, tips, and other compensation) paid to Baxter of $64,483.86. For the period October 1, 2000 through September 30, 2001, WTU's Form LM-2, signed by BAXTER on December 28, 2001, stated that BAXTER had received gross salary of only $55,709, with no additional disbursements, including additional disbursements for official business. 31. Investigators have reviewed WTU bank records for the period October 1, 2000 through September 30, 2001 and determined that the actual total disbursements to BAXTER during the period covered by the LM-2 signed by BAXTER on December 28, 2001 was at least $117,845.70, including some payments designated "Pension Funds." 32. Although BAXTER received thousands of dollars in direct payments from the union, as well as tens of thousands of dollars in American Express charges over the period December 1995 through July 2002 for restaurants, bars and nightclubs, gasoline for multiple vehicles, vehicle repairs and maintenance, art (including art from Ramee Art Gallery), flowers, and other expenses (many of which should have been reported to the Department of Labor even if they had been properly authorized, under the category "Disbursements for Official Business"), these payments are not attributed to him as they should have been on Forms LM-2 that he signed. 33. BAXTER, with the help and assistance ofothers, used his position as elected treasurer to convert union funds by writing thousands of dollars in union checks to himself for services described in WTU records only as "professional fees" or "professional services." In fact, witnesses have advised investigators that BAXTER performed few services justifying these payments and stated that BAXTER appeared in the office merely to "sign checks." 34. GWENDOLYN M. HEMPHILL was formerly BULLOCK's assistant at WTU, with the titles Assistant to the President and Legislative Representative. Among other things, HEMPHILL was responsible for preparing union checks for BULLOCK's and BAXTER's signatures and for affixing BULLOCK's signature stamp to union checks. WTU submitted Forms W-2 to the IRS revealing that from tax years 1999 through 2001, HEMPHILL received a salary from WTU ranging from approximately $53,000 to $70,000. 35. An analysis of WTU credit card records for the period of May of 1998 to December of 2001, reveals that HEMPHILL used her WTU credit and charge cards to make apparently personal purchases of tens of thousands of dollars, including: fine art (including approximately $20,000 to Ramee Art Gallery), a $4,324.87 payment towards an armoire from an Alexandria, Virginia antiques store delivered to GWENDOLYN B. CLARK; electronic equipment (including a $12,999 50" plasma, flat screen television purchased from Graffiti Audio-Video and delivered to her home, which her husband, LARRY HEMPHILL paid personal funds of over $2,000 to have installed in their residence in January 2002); over $2,000 to Princess Jewelers; a $950 handbag from Neiman-Marcus; evening gowns from Rizik Brothers; and thousands of dollars for vehicle maintenance, gasoline, sorority dues and contributions, personal medical and dental expenses for her husband and herself, women's and men's clothing, hotels for personal travel, and hair care. 36. LEROY HOLMES was BULLOCK's driver and a person performing various odd jobs, including maintenance and deliveries, for the union. From 1999 until 2002, HOLMES received scores of WTU checks (made payable to himself, as well as legitimate vendors of WTU, the names of which are crossed out and Holmes's name inserted in their place) bearing the signatures of BULLOCK and BAXTER and totaling in excess of $1,000,000, which he converted to cash to pay himself more than $90,000 per year, plus additional funds to maintain and pay for personal vehicles, and provide cash to others (including at least one other WTU employee who was paid in cash, apparently to avoid tracing by the IRS and other tax authorities), including but not limited to BULLOCK and HEMPHILL. Your affiant has also learned that HEMPHILL was personally responsible for providing HOLMES with these WTU checks, which HOLMES cashed at Independence Federal Savings Bank, which held WTU's major operating depository account. 37. The investigation has uncovered evidence of more than $100,000 in WTU payments to an entity known as Expressions Unlimited, which your affiant has learned is operated or owned by persons named ERROL ALDERMAN and MICHAEL MARTIN. Since at least 1999, MARTIN has been a full-time, salaried employee of the District of Columbia government. He has held the title "Program Analyst" with the District of Columbia government and now holds the title "Supervisory Program Analyst," within the District of Columbia Department of Health, Office of HIV/AIDS Administration. In this most recent capacity, MICHAEL MARTIN's salary is approximately $62,000 per year. 38. MICHAEL MARTIN is married to HEMPHILL's daughter, CHERYL MARTIN, who investigation has revealed was on occasion a temporary employee of WTU and the recipient of several thousand dollars in wages from the union. In addition, MICHAEL MARTIN was personally paid (over and above payments to Expressions Unlimited) more than $20,000 in WTU funds by WTU checks bearing the signatures of BULLOCK and BAXTER. Some, but not all of the payments to Expressions Unlimited purport to be supported by union vouchers prepared by HEMPHILL, which merely stated the amounts of the payments, but not the services rendered. 39. In October 2002, MICHAEL MARTIN faxed from his office within the District of Columbia government to WTU internal investigators copies of "invoices" for services that he claimed to have provided to BULLOCK to support personal payments from WTU to him. These "invoices," which appear to have been generated by computer, were for services such as "image consulting," "search for additional artwork for WTU office suites . . . and transporting Barbara Bullock in search of additional wardrobe," "consult on up coming [sic] fall [art] collections," and "[p]reparation for WTU Christmas Party, to include menu selection, holiday decoration and attire/fashion consulting for the celebration." Your affiant has compared the dates and amounts on these purported invoices with the dates and amounts of WTU checks payable to MICHAEL MARTIN and Expressions Unlimited. In some cases, the amounts and dates of the invoices do not match the amounts and dates of the checks paid by WTU. For example, on July 15, 1998, WTU paid MICHAEL MARTIN personally, with a check signed by BULLOCK and BAXTER, $1,100. WTU provided to investigators no corresponding invoice for this check. Based on statements of witnesses familiar with WTU's operations and the suspicious nature of the invoices MICHAEL MARTIN provided WTU's internal investigators, there exists probable cause to believe that many of the services purportedly provided by MICHAEL MARTIN and Expression Unlimited, in fact were not provided or were not for legitimate union business. Witnesses have indicated that MICHAEL MARTIN, in fact, served as BULLOCK's "hairdresser." 40. The investigation has also revealed that HEMPHILL's union credit cards were used to pay for furniture delivered to MICHAEL and CHERYL MARTIN's Maryland home (a dining room table from IMI Furniture in Sterling, Virginia, purchased on November 4, 1999 and delivered to their residence), as well as vacations (including a $3,095.20 Bahamas vacation in February of 2000) for MICHAEL and CHERYL MARTIN and another couple. 41. Your affiant has determined that the residence of MICHAEL and CHERYL MARTIN is the single-family dwelling located 12000 Quartette Lane, Bowie, Maryland, 20720. Since October 1999, statements for the bank account of Expressions Unlimited at Bank of America have been mailed to that address. Prior to that time, Expressions Unlimited statements were mailed to an address that ERROL ALDERMAN used. My review of the Expression Unlimited bank records indicates that MICHAEL MARTIN and CHERYL MARTIN make personal use of the funds in that account. 42. A review of bank records indicates that Expressions Unlimited checks totaling more than $10,000 and bearing the signature of ERROL ALDERMAN were deposited into one of HEMPHILL's personal accounts. 43. Documents relating to authorization of expenditure of WTU funds reveal no authorization by the executive board or the membership for the union to pay for image consulting, design services, or hair care services for BULLOCK. Nor were the expenditures disclosed to the membership. 44. Moreover, your affiant has sought, and believes she has obtained, all invoices from MICHAEL MARTIN and Expressions Unlimited in the files of WTU as of September 2002, when BULLOCK, BAXTER, and HEMPHILL ceased to be employed at WTU. WTU was required to produce to the government all versions of documents relating to, among other persons, ERROL ALDERMAN, MICHAEL MARTIN, and Expressions Unlimited. The only versions of invoices produced from the vendor files relating to MICHAEL MARTIN were those bearing the October 17, 2002 fax header from MICHAEL MARTIN's District of Columbia government office. Because no version lacking the recent fax header was produced from pre-existing WTU files, the inference arises that these invoices may have been recently created -- after it became widely known that WTU and AFT had referred these allegations to the United States Attorney's Office, various persons had been interviewed and grand jury subpoenas issued. Also, based on my experience, if these documents were created on MICHAEL MARTIN's office computer, evidence of the date of their creation may exist. Inasmuch as these invoices were within his government office (because the fax line indicates that he sent them from that office to WTU's internal counsel), there exists reason to believe that other documents relating to Expressions Unlimited and WTU may be found both in MICHAEL MARTIN's home and office, as well as on any computers or data storage equipment in either location. 45. Your affiant has reviewed Forms LM-2 submitted by WTU, and bearing the signatures of BULLOCK and BAXTER for the years in which they have served in the capacities of President and Treasurer, respectively. Among other things, the Forms LM-2 require filers to state the disbursements to and salaries of officers and employees. 46. The investigation has also revealed evidence of potential tax violations, as income paid by WTU has not been reported to the IRS. 47. Investigation has revealed that the same tax preparer, JAMES A. GOOSBY, JR., prepared: the union's Forms 990 for Tax Years January 1, 1998 through December 31, 1998; October 1, 2000 through September 30, 2001, and a preliminary Form 990 for October 1, 2001 through September 30, 2002; BULLOCK's personal tax returns for tax years 1998 through 2001; MICHAEL and CHERYL MARTIN's personal tax returns for tax years 1999, 2000, and 2001; HOLMES's personal tax returns for tax years 1999, 2000, and 2001; and schedules for use in drafting WTU financial statements and reports, including a financial review or audit required by AFT's constitution. GOOSBY was also involved in the preparation of Forms LM-2 signed and submitted to DOL by BULLOCK and BAXTER. 48. I have reviewed a "Consulting Agreement" dated August 10, 2001, purporting to be between WTU and GOOSBY INCOME TAX SERVICE, which is GOOSBY's business name, for the preparation of WTU financial statements, Forms 990, and Forms LM-2. This contract, executed by HEMPHILL, on behalf of WTU, and GOOSBY called for WTU to pay GOOSBY $5,000 per month. An analysis of WTU records and documents obtained from GOOSBY reveals that WTU did, in fact, pay GOOSBY $5,000 for the period September 2001 through June 2002. Records obtained from GOOSBY reveal that GOOSBY did, in fact, review WTU checks and create schedules of payments to vendors covering a period of several years. GOOSBY shared these schedules with HEMPHILL and BAXTER. 49. For the period October 1998 through September 1999, GOOSBY's schedules reported WTU payments to HOLMES of $210,444.35, WTU payments to ERROL ALDERMAN of $37,011, and WTU payments to Expressions Unlimited of $48,694.49. 50. For the period October 1999 through September 2000, GOOSBY's schedules reported WTU payments to HOLMES of $311,509.30, WTU payments to Expressions Unlimited of $277,829.50, and WTU payments to American Express of $348,111.32. 51. For the period October 2000 through September 2001, GOOSBY identified, among other expenditures, WTU payments to HOLMES of $414,395.43, WTU payments to Expressions Unlimited of $118,398.26, WTU payments to American Express of $925,111.05, and WTU payments to CHERYL MARTIN of $18,550. 52. For the period October 2001 through December 2001, GOOSBY's schedules reported WTU payments to HOLMES of $110,525.85, WTU payments to American Express of $99,379.89, WTU payments to Expressions Unlimited of $8,800, and WTU payments to MICHAEL MARTIN of $2,500. 53. AFT's constitution requires that each affiliated local union conduct an internal financial review or have an outside auditor prepare an audit report at least every two years. The results of that review are to be shared with, or made available to the membership of the local and submitted to AFT. In addition, WTU's internal rules require the completion of such a financial review. Investigation has revealed that notwithstanding these audit or financial review requirements, a true and correct audit or financial review report was not prepared during the years 1999 through 2002. 54. The investigation has also revealed that members of the union had raised questions about BULLOCK's and BAXTER's stewardship of the union at least as early as 1997. 55. Forms LM-2 required the union's disclosure of disbursements to officers and employees in the following categories: gross salary, allowances, disbursements for official business, and "other disbursements." Although GOOSBY was responsible for assisting WTU in the preparation of its Forms LM-2, which BULLOCK and BAXTER signed and caused to be submitted to DOL, attesting to its accuracy, WTU's Forms LM-2 reported only the WTU payroll disbursements (i.e., PAYCHEX salary) to BULLOCK and HEMPHILL. The amounts reported also substantially understated the amounts disbursed to BAXTER. And WTU reported no disbursements of any kind to HOLMES, even though as HOLMES's personal tax preparer, GOOSBY was aware, at least by April 2002, that HOLMES derived his income primarily from WTU. 56. HOLMES received from WTU an IRS Form 1099 that grossly understated the amount of payments to him, as reflected in WTU's canceled checks and GOOSBY's schedules of checks written on WTU accounts. Although the schedules prepared by GOOSBY indicate payments by check to HOLMES of over $1 million between 1998 and 2001, IRS records do not indicate the receipt of such filings from WTU regarding compensation to HOLMES. 57. Notwithstanding the amounts actually paid by WTU to HOLMES (or listed on schedules prepared by GOOSBY) or reported paid on HOLMES's Forms 1099, HOLMES grossly understated on his personal tax returns, also prepared by GOOSBY, his actual income for the years 1999 through 2001. In fact, HOLMES claimed substantial deductions for unreimbursed business expenses, including wear and tear, maintenance, and other expenses associated with his use of a vehicle to transport BULLOCK, when as he and GOOSBY well knew, WTU paid these expenses and even gave HOLMES funds to assist him in purchasing a new vehicle. Nor did GOOSBY prepare any amended return for this period. 58. GOOSBY learned, at least as early as April 2002, when he was preparing HOLMES's 2001 tax return, that HOLMES claimed that he was not in fact the true recipient of the money reflected in the WTU checks written to him. GOOSBY has stated that HOLMES told him that he was directed by HEMPHILL to cash those checks, keep a portion to pay himself, and return the remainder to HEMPHILL and others. GOOSBY also knew that hundreds of thousands of dollars being paid to American Express were to pay for personal expenditures by BULLOCK that exceeded the amount of her reported compensation. Notwithstanding these facts, BULLOCK's personal tax returns, all prepared by GOOSBY, grossly understated the amounts of money that she actually received from WTU, in each tax year reporting only her WTU salary, as reflected in payments through PAYCHEX. Moreover, for tax years 1998 through 2001, BULLOCK claimed more than $60,000 in deductions for unreimbursed business expenses. Nor did GOOSBY prepare any amended return for this period. 59. The investigation has also obtained from GOOSBY the personal tax returns for MICHAEL MARTIN and CHERYL MARTIN for tax years 1999, 2000, and 2001. Those returns identify no income from WTU - either in the form of payments made to MICHAEL MARTIN or CHERYL MARTIN personally, or in the form of income derived from Expressions Unlimited. 60. BAXTER filed tax returns in 1999 and 2000 in which he claimed no income from WTU despite the fact that he personally wrote checks to himself in the thousands of dollars in those years. BAXTER did claim income from WTU in 2001, the year in which WTU issued a Form W-2 to the IRS indicating that BAXTER had been paid $64,483.86. A limited analysis of the amounts of money paid by WTU to Baxter, much of it by check bearing his own signature, reveals that Baxter received substantial sums of money from WTU in both tax years 1999 and 2000, and that payments to him in 2001 exceeded the amount of income reported to either the IRS or Department of Labor on WTU's Forms LM-2. 61. Given the nature of the expenditures by BULLOCK personally and by others on her behalf, there exists probable cause to believe that many of these items, including thousands of dollars worth of clothing, jewelry, artwork, and home furnishings purchased by BULLOCK using union funds, are stored at BULLOCK's home, a one-bedroom apartment located at 1221 Massachusetts Avenue, Northwest, Apartment 1021, in the District of Columbia. Within the past six months a Neiman-Marcus representative entered BULLOCK's apartment and observed the $6,800 Buccellati ice bucket that was purchased from Neiman-Marcus with funds that were embezzled from WTU and is set forth in Attachment B to this affidavit. In addition, I have learned that a number of the items purchased with the funds embezzled from WTU were delivered to BULLOCK's apartment at 1221 Massachusetts Avenue, Northwest. 62. In addition, the investigation has revealed that BULLOCK was in the habit of having a dry cleaner come to her apartment as the seasons changed to pick up a substantial portion of her wardrobe for cleaning and storage, and then to return those items in storage to her home and pick up new materials for cleaning and storage at the beginning of the next season. WTU paid for many, if not all, of these cleaning, storage, and delivery expenses. 63. In light of the fact that BULLOCK resides in a one-bedroom apartment in the District of Columbia, the fact that few of the substantial number of goods purchased with her union-paid credit cards are located at WTU office space, the fact that BULLOCK did not maintain her wardrobe in its entirety in her relatively small home, and the fact that deliveries of some purchases, including furniture, can be traced to other persons who participated in the misappropriation of union funds or aided and abetted it, there exists probable cause to believe that many of the items that she purchased are maintained or stored by her co-conspirators and others including HEMPHILL, MARTIN, BAXTER AND CLARK. 64. Further, a search of BULLOCK's residence may be expected to yield books and records relating to her gross underpayment of taxes and myriad other information about her personal finances and that of the union. 65. I have ascertained that HEMPHILL and BULLOCK used union credit accounts to purchase items for each other. In addition, I have determined that a number of specific items, including, for example, clothing in HEMPHILL's size (16) and the 50-inch plasma television were delivered directly to HEMPHILL's residence. Moreover, we have ascertained that in July of 2000 HEMPHILL used WTU funds to purchase more than $10,000 for computer equipment at Comp USA, some of which can reasonably be expected to be currently located at her home. 67. As is noted above, MARTIN appears to have faxed invoices purporting to justify payments of WTU funds to himself on October 17, 2002, from his District of Columbia government office to WTU internal investigation counsel. Because these invoices were within his government office (because the fax line indicates that he sent them from that office to WTU's internal counsel), there exists reason to believe that other documents relating to Expressions Unlimited and WTU may be found both in MICHAEL MARTIN's home and office, as well as on any computers or data storage equipment in either location. 68. As has been noted above, I am aware of specific deliveries to the MARTIN residence paid for by WTU funds. In addition, I am aware of other uses of WTU funds by MICHAEL MARTIN and CHERYL MARTIN. Given the Martins' personal relationship with HEMPHILL and BULLOCK, there is reason to suspect that many of the items purchased by them are likely to be stored and kept at their residence. 69. In addition, probable cause exists to believe that the MARTIN residence will contain evidence of tax violations for their failure to report their income from WTU and other sources, as well as books and records relating to the Expressions Unlimited business. These records may be expected to be found both in paper and in electronically-stored form on personal computers. 70. Inasmuch as BAXTER was a co-conspirator of HEMPHILL and BULLOCK in the misappropriation of union funds and the fact that his union account was used to purchase art from Ramee Art Gallery, as was theirs, there exists reason to believe that evidence of these crimes may be found at his residence. Moreover, there exists probable cause to believe that BAXTER's residence holds a number of documents (including documents stored on any personal computer within) relating to his personal finances and taxes, which may assist the investigation in ascertaining the extent of the false and fraudulent representations that may have been made to the government. In addition, BAXTER may also maintain in his home evidence relating to the preparation of union filings, since BAXTER was partly responsible for communication with GOOSBY. 71. I have ascertained that several fur items purchased by BULLOCK with union funds are being stored on BULLOCK's behalf at Miller Furs, located at 6900 Wisconsin Avenue, Chevy Chase, Maryland 20815. Because BULLOCK purchased several fur coats and other high-end clothing with union funds, there exists probable cause to believe that the items maintained at Miller Furs are evidence of the criminal conspiracy. 72. Investigation has revealed that at least one antique piece of furniture, a two-door French hand-painted armoire from Alexandria, Virginia purchased in March of 2000 from merchant Tradition de France with a WTU American Express card was delivered to CLARK at her residence located at 307 Yoakum Parkway, Number 711, Alexandria, Virginia. There exists probable cause to believe, given that it is a large item of furniture, that the armoire remains at that location. Moreover, inasmuch as CLARK's Diners Club account was used to purchase items from Van Style, Neiman-Marcus, Saks Fifth Avenue, Tiffany & Co., and inasmuch as WTU funds paid directly thousands of dollars worth of purchases on that account there, there exists reason to believe that items from these vendors purchased in whole or in part with WTU funds may be found at her residence. This inference is bolstered by the statement of at least one person that CLARK claims to have received "gifts" purchased with WTU funds. 73. In addition, I have learned that BULLOCK caused her WTU-paid driver, LEROY HOLMES, to perform a variety of personal services at CLARK's home, which were paid for by WTU. 74. Documents and computers containing stored records relating to these Diners Club and American Express payments, as well as the business "Gwen's of Columbia" and any personal tax information, as well as additional items purchased with embezzled funds are likely to be maintained at CLARK's residence. b. the objects may have been used to collect and store information about crimes (in the form of electronic data). Rule 41 of the Federal Rules of Criminal Procedure permits the government to search and seize computer hardware, software, documentation, passwords, and data security devices which are instrumentalities, fruits, or evidence of crime; or storage devices for information about crime. 76. Based upon the facts set forth above, there is probable cause to believe computer hardware, software, related documentation, passwords, data security devices (as described below), and data found at the search locations, were integral tools of these crimes and constitute the means of committing it. As such, they are instrumentalities and evidence of the violations designated. Rule 41 of the Federal Rules of Criminal Procedure authorizes the government to seize and retain evidence and instrumentalities of a crime for a reasonable time, and to examine, analyze, and test them. 77. Hardware: Computer hardware consists of all equipment which can receive, capture, collect, analyze, create, display, convert, store, conceal, or transmit electronic, magnetic, or similar computer impulses or data. Hardware includes, but is not limited to, any data-processing devices (such as central processing units; internal and peripheral storage devices (such as fixed disks, external hard disks, floppy disk drives and diskettes, and other memory storage devices); peripheral input/output devices such as keyboards, printers, video display monitors, and related communications devices (such as cables and connections, as well as any devices, mechanisms, or parts that can be used to restrict access to computer hardware (such as physical keys and locks). 78. Software: Computer software is digital information that can be interpreted by a computer and any of its related components to direct the way they work. Software is stored in electronic, magnetic, or other digital form, including zip drives). It commonly includes programs to run operating systems, applications (like tax preparation, word-processing, or spreadsheet programs), and utilities. 79. Documentation: Computer-related documentation consists of written, recorded, printed, or electronically stored material which explains or illustrates how to configure or use computer hardware, software, or other related items. 80. Passwords and Data Security Devices: Computer passwords and other data security devices are designed to restrict access to or hide computer software, documentation, or other programming code. A password (a string of alphanumeric characters) usually operates a sort of digital key to unlock particular data security devices. Data security hardware may include encryption devices, chips, and circuit boards. Data security software or digital code may include programming code that creates test keys or hot keys, which perform certain pre-set security functions when touched. Data security software or code may also encrypt, compress, hide, or booby-trap protected data to make it inaccessible or unusable, as well as reverse the process to restore it. a. Volume of Evidence: Computer storage devices (like hard disks, and diskettes) can store the equivalent of thousands of pages of information. Additionally, a suspect may try to conceal criminal evidence; he or she might store it in random order with deceptive file names. This may require searching authorities to examine all the stored data to determine which particular files are evidence or instrumentalities of crime. This sorting process can take weeks or months, depending on the volume of data stored, and it would be impractical to attempt this kind of data search on site. b. Technical Requirements: Searching computer systems for criminal evidence is a highly technical process requiring expert skill and a properly controlled environment. The vast array of computer hardware and software available requires even computer experts to specialize in some systems and applications, so it is difficult to know before a search which expert is qualified to analyze the system and its data. However, data search protocols are exacting scientific procedures designed to protect the integrity of the evidence and to recover even hidden, erased, compressed, password-protected, or encrypted files. Since computer evidence is extremely vulnerable to inadvertent or intentional modification or destruction (both from external sources or from destructive code imbedded in the system as a booby-trap), a controlled environment is essential to its complete and accurate analysis. 82. Based upon my knowledge, training and experience and consultations with forensic computer examiners, I know that searching computerized information for evidence or instrumentalities of crime commonly requires agents to seize most or all of a computer system's input/output peripheral devices, related software, documentation, and data security devices (including passwords) so that a qualified computer expert can accurately retrieve the system's data in a laboratory or other controlled environment. This is true because of the following: The peripheral devices which allow users to enter or retrieve data from the storage devices vary widely in their compatibility with other hardware and software. Many system storage devices require particular input/output (or "I/O"@) devices in order to read the data on the system. It is important that the analyst be able to properly re-configure the system as it now operates in order to accurately retrieve the evidence listed above. In addition, the analyst needs the relevant system software (operating systems, interfaces, and hardware drivers) and any applications software, which may have been used to create the data (whether stored on hard drives or on external media), as well as all related instruction manuals or other documentation and data security devices. 83. If, after inspecting the I/O devices, software, documentation, and data security devices, the analyst determines that these items are no longer necessary to retrieve and preserve the data evidence, the government will return them within a reasonable time. 84. Data analysts may use several different techniques to search electronic data for evidence or instrumentalities of crime. These include, but are not limited to, the following: examining file directories and subdirectories for the lists of files they contain; opening or reading the first few pages of selected files to determine their contents; scanning for deleted or hidden data; searching for key words or phrases ("string searches"). 85. This specifically excludes a search of any kind of unopened electronic mail, and no warrant is herein sought for such unopened electronic mail. If unopened electronic mail is to be searched, a separate warrant will be sought supported by probable cause. WHEREFORE, your affiant submits that there exists probable cause to believe that BARBARA A. BULLOCK, JAMES O. BAXTER, II, GWENDOLYN M. HEMPHILL, LEROY HOLMES, MICHAEL MARTIN, and others have conspired to commit and committed offenses against the United States, including but not limited to conspiracy, in violation of Title 18, United States Code, Section 371; mail and wire fraud, in violation of Title 18, United States Code, Sections 1341, 1343, and 1346; false statements, in violation of Title 18, United States Code, Section 1001; money laundering, in violation of Title 18, United States Code, Sections 1956 and 1957; embezzlement from a labor union, in violation of Title 29, United States Code, Section 501(c); and tax evasion, in violation of Title 26, United States Code, Section 7201, as well as probable cause to believe that the places described in the attachments to this Affidavit contain evidence of these offenses which may be seized pursuant to the warrant that this Affidavit supports. Subscribed and sworn to before me this 18th day of December, 2002. These attachments are simply descriptions of the properties to be searched, and are not available online. Documents regarding payments to and from the Washington Teachers' Union Local 6 (WTU), Barbara A. Bullock, Gwendolyn Hemphill, James Baxter, Leroy Holmes, Errol Alderman, Expressions Unlimited, Michael Martin, Cheryl Martin, Gwendolyn Clark and Gwen's of Columbia. Ledgers, books, records, journals, notes, workpapers, income statements, receipts, invoices, statements, vendor lists, correspondence, notes or receipts recording or relating to the acquisition, conversion, movement, secreting, transfer or disbursement of currency and monetary or business transactions. Any contracts, records of real estate transactions, purchase orders, price lists, inventory records, telephone bills appointment books and telephone listings. Any and all documents, receipts, account statements, invoices, merchandise order forms, bank cards, credit cards, application for credit, credit card receipts and convenience checks. Bank statements, deposit slips, cancelled checks and related records, credit cards, money drafts, letters of credit, wire transfers, money orders and cashier's checks, checks and receipts, treasurer checks, bill of sale, installment contracts, real estate records, passbooks, bank checks, safe deposit keys, money wrappers and any other items evidencing the obtaining, secreting, transferring, concealment and/or expenditure of money. Address and/or telephone books, rolodex indices, notes, business cards or papers reflecting names, addresses, telephone numbers, pager numbers, facsimile numbers and/or telex numbers. Indicia of occupancy, residence, rental and/or ownership of the premises to be searched including but not limited to utility, land, telephone records, mortgages, deeds, lien records, purchase or lease agreements, cancelled mail, cancelled envelopes and keys. Schedules, appointment books and calendars. Papers, notes, schedules, passport/visa/drivers license information, airline tickets, boarding passes and airline receipts related to domestic and foreign travel. Vehicle titles, registrations and documentation related to the purchase, lease or ownership of motor vehicles. Any federal income tax returns and workpapers relating to income, expenses, assets and liabilities. Electronic evidence to include but not limited to input/output peripheral devcices, hardware, software, related documentation, passwords, data security devices and magnetic or electronic storage devices (as specifically described in Attachment C). 5.3 carat S link diamond tennis bracelet containing round brilliant cut diamonds set with four prongs each into the 14 karat yellow gold mounting. The bracelet has a concealed clasp with a figure eight safety. The bracelet is 7" long. Your Affiant knows that in order to completely and accurately retrieve data maintained in computer hardware or on computer software, to insure accuracy and completeness of such data and to prevent the loss of the data either from accidental or programmed destruction, it is commonly necessary that all computer equipment, peripherals, related instructions in the form of manuals and notes, as well as the software utilized to operate such a computer be seized by the searching agents, and subsequently processed by a qualified expert computer specialist in a laboratory setting. Computer storage devices (like hard disks, floppy diskettes, removable disks, tapes, laser disks, Bernoulli drives and others) can store the equivalent of thousands of pages of information. Especially when the user wants to conceal criminal evidence, he or she often stores it in a random order with deceptive file names. This requires searching authorities to examine all the stored data to determine whether it is included in the warrant. This sorting process can take weeks or months, depending on the volume of data stored, and it would be impractical to attempt this kind of data search on site. Searching computer systems for criminal evidence is a highly technical process requiring expert skill and a properly controlled environment. The vast array of computer hardware and software available requires even computer experts to specialize in some systems and applications, so it is difficult to know before a search which expert should analyze the system and its data. The search of a computer system is an exacting scientific procedure which is designed to protect the integrity of the evidence and to recover even hidden, erased, compressed, password-protected, or data encrypted files. Since computer evidence is extremely vulnerable to tampering or destruction (both from external sources or from destructive code imbedded in the system as a booby trap), the controlled environment of a laboratory is essential to this complete and accurate analysis. In order to fully retrieve data from a computer system, the analyst needs all magnetic storage devices as well as the central processing unit (CPU), the monitor, and sometimes the printer. In addition, the analysis needs all the system software (operating systems or interfaces and hardware drivers) and any application software which may have been used to create data (whether stored on hard drives or on external media). The computer searches in this case will entail searching the computers as instrumentalities of a crime arid as storage units containing information about that crime (in the form of electronically stored data). With respect to this latter part of the search, the analysis of electronically stored data, whether performed on-site or in a laboratory or other controlled environment, may entail any or all of several different techniques. Such techniques may include, but shall not be limited to, surveying various file directories and the individual files they contain (analogous to looking at the outside of a file cabinet for the markings it contains and opening a file drawer capable of containing pertinent files, in order to locate the evidence and instrumentalities authorized for seizure by the warrant); opening or reading the first few pages of such files in order to determine their precise contents; scanning storage areas to discover and possibly recover recently deleted data; scanning storage areas for deliberately hidden files; or performing electronic keyword searches through all electronic storage areas to determine whether occurrences of language contained in such areas exist that are intimately related to the subject matter of the investigation. The terms "records," "documents," and "materials" include all of the foregoing items of evidence in whatever form and by whatever means such records, documents or material, their drafts, or their modifications may have been created or stored, including, but not limited to, any handmade form (such as writing or drawing with any implement on any surface, directly or indirectly); any photographic form (such as microfilm, microfiche, prints, slides, negatives, videotapes, motion pictures, photocopies); any mechanical form (such as phonograph records, printing or typing); any electrical electronic or magnetic form (such as tape recordings, cassettes, compact discs or any information on an electronic or magnetic storage devise, such as floppy diskettes, hard disks, CD-ROMs, optical discs, printer buffers, smart cards, memory calculators, electronic dialers, Bernoulli drives or electronic notebook, as well as printouts or readouts from any magnetic storage device). Your Affiant knows that it is common for a computer user to situate computer peripherals, computer software, instructions, records, backed up data files and the like in the immediate area of a computer system. Computer hardware may be described as any and all electronic devices capable of creating, converting, displaying transmitting or analyzing magnetic or electronic impulses or data. These devices include, but are not limited to computers, computer peripherals such as printers, hubs, routers, modems, plotters, circuit boards and other electronic devices. Your Affiant knows that the components of a personal computer normally include the Central Processing Unit (CPU), a monitor which is commonly referred to as a "screen," a keyboard and any storage devices, i.e., hard disk drive, removable media drive, or magnetic tape drive. Further, your Affiant knows that a computer may include a device known as a network interface card (NIC) which enables the computer to communicate with other computers or servers also equipped with a NIC via network cables. Your Affiant knows that NIC cards may be described as a small internal component sometimes with lights on the front and some type of network cable running from this item to other computers on the network. Sometimes. these cables are embedded in the walls, or hidden in the ceiling, and access to the cables are through a modular connection jack in the wall, similar to a telephone jack. Your Affiant knows that a network card is capable of sending and receiving electromagnetic signals generated by a computer across network cables to other computers on that network, thus communicating data from the sending computer to the receiving computer or vice versa. Computer hardware consisting of all equipment which can collect, analyze, create, display, convert, store, conceal, or transmit electronic, magnetic, optical, or similar computer impulses or dad. Hardware includes (but is not limited to) any data-processing devices (such as central processing units, memory typewriters, and self-contained "laptop" or "notebook" computers); internal and peripheral storage devices (such as fixed disks, external hard disks, floppy disk drives and diskettes, tape drives and tapes, optical storage devices, transistor-like binary devices and other memory storage devices); peripheral input/output devices (such as keyboards, printers, scanners, plotters, video display monitors, and optical readers); and related communications devices (such as modems, cables and connections, recording equipment, RAM or ROM units, acoustic couplers, automatic dialers, speed dialers, programmable telephone dialing or signaling devices, and electronic tone-generating devices); as well as any devices, mechanisms or parts that can be used to restrict access to computer hardware (such as physical keys and locks). Computer software may be described as any and all programs or instructions capable of interpretation by a computer and related devices which is stored in the form of magnetic or electronic media. These items include, but are not limited to, application software, operating systems, network operating systems, utilities, compilers, interpreters and other programming utilized with computer components. Software is stored in electronic, magnetic, optical or other digital form. Computer instructions may be described as existing in the form of books, manuals, notes which include, but are not limited to written, printed or electronically stored material which explains, illustrates or provides exemplars and instructions regarding the operation of computers, peripherals, software or other related items. Computer passwords and other data security devices are designed to restrict access to or hide computer software, documentation or data. Data security devices may consist of hardware, software or other programing code. A password (a string of alpha-numeric characters) usually operates as a sort of digital key to "unlock" particular data security devices. Data security hardware may include encryption devices, chips and circuit boards. Data security software or digital code may include programming code that creates "test" keys or "hot" keys, which perform Certain preset security functions when touched. Data security software or code may also encrypt, compress, hide, or "boobytrap" protected data to make inaccessible or unusable, as well as reverse the process to restore it. Any and all items maintained or stored for or for the benefit of Barbara A. Bullock.